The Alianza Latina/Latino Alliance is a group of CWRU faculty, staff, and graduate students/trainees. The purpose of the group is to bring together Hispanics/Latinos from across the campus for cultural awareness, friendship, student recruitment and retention, and public service. All, regardless of race or ethnicity, are invited to join the group. The Anisfield-Wolf Awards recognize books that have made important contributions to our understanding of racism and human diversity. For 80 years, the distinguished books earning Anisfield-Wolf prizes have opened and challenged our minds. Cleveland poet and philanthropist Edith Anisfield Wolf established the book awards in 1935, in honor of her father, John Anisfield, and husband, Eugene Wolf, to reflect her family’s passion for social justice. Presented by the Cleveland Foundation, it remains the only American book prize focusing on works that address racism and diversity. Sold out at Tanglewood, in Boston, in Madrid and at the BBC Proms in London. And here at home, Apollo’s Fire brings world-class performances to your doorstep in a continuous “tour” of Northeast Ohio neighborhoods. We love playing for our amazing home audience—the third largest early-music audience in the country! Click HERE for the Apollo’s Fire website. United to commemorate the centennial of the Armenian Genocide and honor the memory of the 1.5 million Armenians who perished. Raising awareness about our genocide to prevent future genocides. • facilitating cross-disciplinary and inter-disciplinary collaborations among CWRU faculty and members of other cultural and educational institutions that address questions and problems of broad human interest, in and out of the academy. Click HERE for the Baker-Nord Center for the Humanities website. Books@Work brings professor-led literature seminars to workplaces and community settings, allowing participants with a wide array of educational backgrounds and experiences to challenge assumptions, share their stories, experience mutual recognition and practice critical dialogue, without judgment. Through shared narratives, Books@Work builds human capacity to imagine, innovate and connect, strengthening cultures of trust, respect and inclusion. 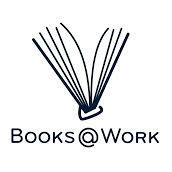 Piloted with food service workers in Northeast Ohio, Books@Work has programs in multiple sectors in several states, including manufacturing, distribution, healthcare, education, professional services and non-profit. Early evidence from these programs demonstrates the power of the liberal arts to enable people to think deeply, critically, and confidently about their experiences and contributions and the relevance of rigorous literature to issues facing modern workplaces and communities. To learn how to bring a Books@Work seminar to your workplace or community setting, please contact info@thatcanbeme.org. Click HERE for the Books@Work website. Founded in 1895 the Cleveland Archaeological Society (CAS) is dedicated to promoting the understanding and appreciation of archaeology as practiced worldwide through a series of monthly lectures. CAS fosters the education of future archaeologists with paid internships, and advocates for the protection of our cultural and archaeological heritage. 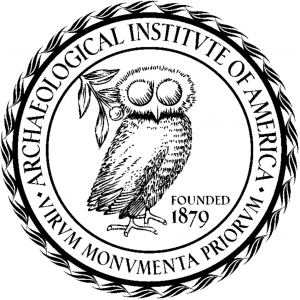 CAS is affiliated with the Archaeological Institute of America headquartered in Boston, but maintains its own board of directors and local membership. Click HERE for the Cleveland Archaeological Society website. Cleveland Botanical Garden is an ever-changing urban oasis that provides enrichment and inspiration through nine acres of beautiful outdoor gardens, the 18,000-square-foot Eleanor Armstrong Smith Glasshouse featuring the biomes of Madagascar and Costa Rica, and exhibitions throughout the year. The Cleveland Botanical Garden and Holden Arboretum are part of Holden Forests & Gardens, which is making a positive impact in the region through urban greening and forestry initiatives, scientific research, environmental education, and world-class visitor experiences at its two campuses. Click HERE for the Cleveland Botanical Garden website. Click HERE for the Cinematheque website. 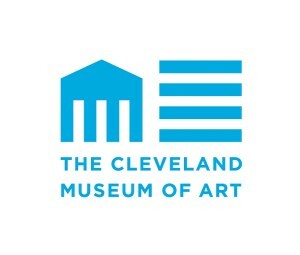 Click HERE for the Cleveland Institute of Art website. Founded in May 1867, the Western Reserve Historical Society is Cleveland’s oldest existing cultural institution. It was established as the historical branch of the Cleveland Library Association which dated from 1848. The Society’s creation was part of an important trend in the United States, the establishment of private organizations to oversee the collection and preservation of documents and objects relating to various aspects of national, regional and local history. While its original focus was on the history of “…Cleveland and the Western Reserve, and generally what relates to the history of Ohio and the Great West,” it now concentrates on the history of Northeast Ohio. Click HERE for the Western Reserve Historical Society website. Click HERE for the Cleveland History Center website. The Cleveland Institute of Music empowers the world’s most talented classical music students to fulfill their dreams and potential. Its graduates command the most celebrated and revered stages in the world as soloists, chamber musicians and ensemble members; compose meaningful, award-winning new repertoire; and are highly sought-after teaching artists, administrators and thought leaders. A testament to the excellence of a CIM education, more than half of the members of The Cleveland Orchestra are connected to CIM as members of the faculty, alumni or both. All students benefit from access to world-renowned visiting artists and conductors, intensive study with CIM’s stellar faculty and the rich curriculum offered by CIM’s partner Case Western Reserve University. CIM is an integral part of Cleveland’s arts community, presenting nearly 600 free performances and master classes on campus each year, and hundreds more at locations throughout the region, including Severance Hall. Click HERE for the Cleveland Institute of Music website. Click HERE for the Cleveland International Film Festival website. The Cleveland Health Sciences Library (CHSL), formed in 1965 by an agreement between the Cleveland Medical Library Association and Western Reserve University, operates in two locations: Allen Memorial Medical Library, housing a collection of clinical books and journals, books on the history of medicine, and retrospective special collections; and Health Center Library, housing a collection of basic sciences, nursing, dentistry and biology books, journals, audiovisuals, and microforms. The combined collections total over 500,000 volumes, including electronics and collectibles, with print and electronic journal subscriptions numbering in excess of 60,000, electronic books numbering over 60,000, and print books numbering over 150,000. The Cleveland Health Sciences Library serves as a resource library in the Greater Midwest Region of the National Network of Libraries of Medicine, and participates in OhioLINK, OHIONET, and OCLC. Click HERE for the Cleveland Health Sciences Library website. The Cleveland Medical Library Association (CMLA), founded in 1894, is an organization of physicians and other health care professionals interested in preserving medical literature and historic materials. The Association oversees the Allen Memorial Medical Library – located at 11000 Euclid Avenue and housing the CMLA since 1926 – and provides financial support to the Cleveland Health Sciences Library and Dittrick Medical History Center. The association publishes a twice-yearly newsletter and holds an annual lecture. More recently, the CMLA has become involved in premedical and pre-health mentorship through a series of annual co-sponsored lectures, semesterly workshops, and weekly journal club sessions. Click HERE for the Cleveland Medical Library Association website. The Cleveland Museum of Art was founded in 1913 “for the benefit of all the people forever.” We strive to help the broadest possible audience understand and engage with the world’s great art while honoring the highest aesthetic, intellectual, and professional standards. We are proud to be one of the world’s most distinguished comprehensive art museums and one of northeastern Ohio’s principal civic and cultural institutions. The Cleveland Museum of Art is a FREE museum. There is no charge for general admission. Click HERE for the Cleveland Museum of Art website. At the Cleveland Museum of Natural History, we believe that discovery starts with you. Explore our exhibits, meet our wild animals, take a hike, join a class—all while creating meaningful memories. Our mission is to inspire, through science and education, a passion for nature, the protection of natural diversity, the fostering of health and leadership to a sustainable future. Click HERE for the Cleveland Museum of Natural History website. Cleveland Play House, founded in 1915 and recipient of the 2015 Regional Theatre Tony Award, is America’s first professional regional theatre. Throughout its rich history, CPH has remained dedicated to its mission to inspire, stimulate and entertain diverse audiences in Northeast Ohio by producing plays and theatre education programs of the highest professional standards. Today, Cleveland Play House celebrates the beginning of its second century of service while performing in three state-of-the art venues at Playhouse Square in downtown Cleveland. Click HERE for the Cleveland Play House website. Cleveland Public Library is The People’s University, the center of learning for a diverse and inclusive community. Founded in 1869, CPL serves the residents of Cleveland through its network of 27 neighborhood branches, the Main Library downtown, Public Administration Library at City Hall, homebound delivery services, and mobile services to daycare and senior centers. From a collection of 10.5 million items, CPL lends over 5 million items a year to its 330,000 registered borrowers and to 43 other CLEVNET-member libraries in 12 counties across northeast Ohio. CPL is home to the Ohio Center for the Book and the Ohio Library for the Blind and Physically Disabled, serving all 88 counties in the state. For more information, visit cpl.org. Click HERE for the Cleveland Public Library website. 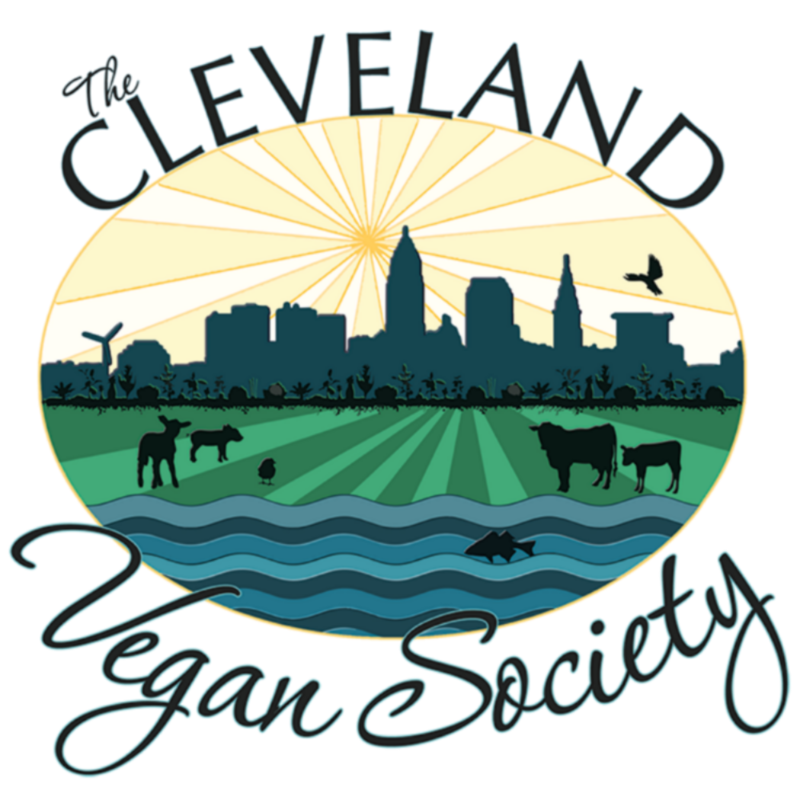 The Cleveland Vegan Society was founded for charitable and educational purposes to promote a vegan lifestyle by informing the public about the healthful, sustainable, and compassionate benefits of plant-based eating and living free from animal exploitation. We put on the annual Cleveland VegFest, held at the Huntington Cleveland Convention Center, which draws over 13,000 attendees. Admission is free for this all-day event, which includes a huge vegan foodcourt and marketplace, national and local speakers, food demos, film screenings, a kid’s area, and more. Our 2019 VegFest will be held May 18, 2019. Click HERE for the Cleveland Vegan Society website. 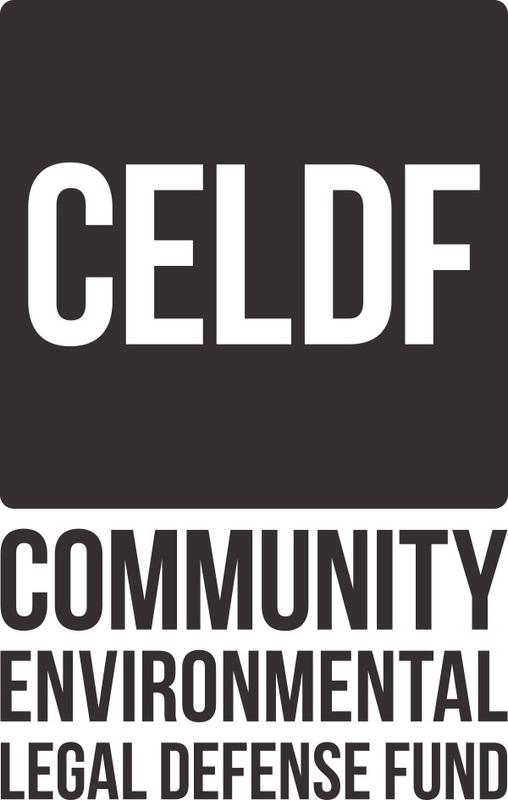 Click HERE for the Community Environmental Legal Defense Fund website. Begun in 1963, Cuyahoga Community College has become a crucial part of the educational and economic landscape in Northeast Ohio. At Tri-C’s campuses in Cleveland, Parma, Highland Hills and Westlake, a diverse student body enjoys one of Ohio’s most affordable tuition rates while making strides toward a diploma or certificate, or training or retraining for a dynamic job market. Students in Tri-C’s Creative Arts division pursue dreams of acting, playing and singing, making art, designing for print and web, and so much more. Tri-C’s continuing commitment to the humanities is affirmed by a recent gift from the Mandel family, and celebrated through the establishment of the Jack, Joseph and Morton Mandel Humanities Center. Click HERE for the Cuyahoga Community College Mandel Scholars Academy website. At Cuyahoga County Public Library we are committed to our mission of being at the center of community life by creating an environment where reading, lifelong learning and civic engagement thrive and our vision to be the most convenient library system in the country. Click HERE for the Cuyahoga County Public Library website. An interdisciplinary study center and museum in the College of Arts and Sciences (Case Western Reserve University), the Dittrick is home to curious and comprehensive collections. Housing more than 150,000 artifacts (from surgical instruments and medical equipment to microscopes, historical contraceptives, turn of the century x-ray equipment, midwifery manikins and much more) the Dittrick offers free programs and public “conversations” about medicine then and now. Winner of an NEH grant for a new digital interactive, “How Medicine Became Modern,” Dittrick aims to tell the human story behind medicine, in all it’s wonderful complexity. See the website and blog, our fascinating Instagram account, or Facebook and Twitter for more! 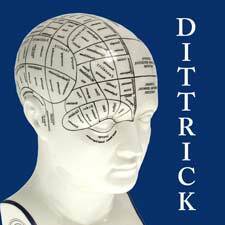 Click HERE for the Dittrick Museum of Medical History Blog. Click HERE for the Dittrick Museum of Medical History Twitter account. Click HERE for the Dittrick Museum of Medical History Instagram account. Downtown Cleveland Alliance is the only not-for-profit organization solely dedicated to building a dynamic Downtown. We’re committed to making Downtown Cleveland the most compelling place to live, work and play. 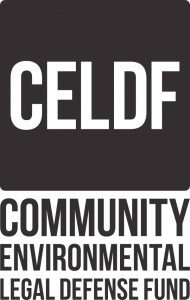 Downtown Cleveland Alliance works hand-in-hand with Downtown stakeholders to enhance the quality of life in NEO’s urban core by implementing initiatives like the Clean & Safe Program, economic development assistance, marketing & special events, advocacy and strategic projects. 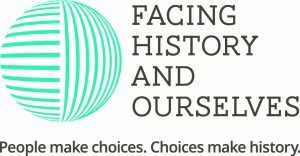 Facing History and Ourselves is an educational nonprofit and professional development organization. Our mission is to engage students of diverse backgrounds in an examination of racism, prejudice, and antisemitism in order to promote the development of a more humane and informed citizenry. By studying the historical development of the Holocaust and other examples of genocide, students make the essential connection between history and the moral choices they confront in their own lives. Global Cleveland attracts, welcomes and connects international newcomers to economic and social opportunities in Cleveland and Cuyahoga County. Click HERE for the Global Cleveland website. Kelvin Smith Library (KSL) is the main library supporting the teaching and research of Case Western Reserve University in Cleveland, Ohio, with emphasis given to the College of Arts and Sciences, the Case School of Engineering and the Weatherhead School of Management. 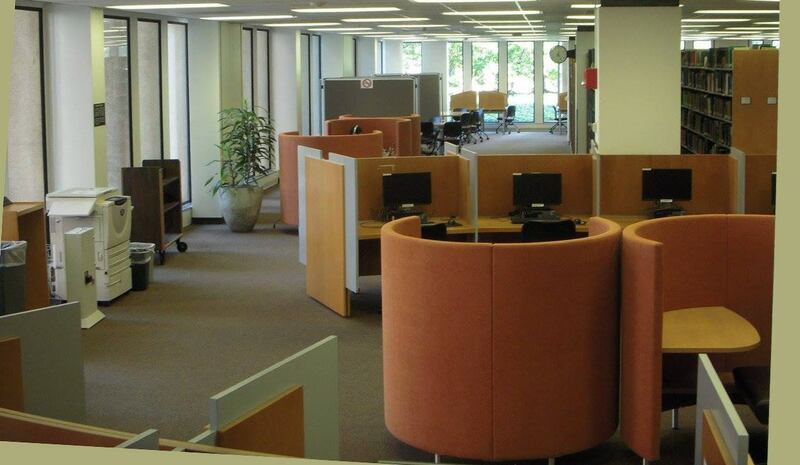 The University Archives (located in the Bioenterprise Building), Kulas Music Library (located in Haydn Hall) and the Astronomy Library (located in Sears Building) are part of Kelvin Smith Library. KSL librarians and staff work with the libraries of the professional schools, the Cleveland Health Sciences Library, the Judge Ben C. Green Law Library, and the Harris Library of the Mandel School of Applied Social Sciences, to coordinate policies and collections. KSL also provides technology services such as the online public catalog and circulation systems to the other campus libraries, as well as to our affiliate libraries, the Cleveland Institute of Music and the Cleveland Institute of Art. Click HERE for the Kelvin Smith Library website. The Lake View Cemetery Foundation supports the maintenance, preservation and enhancement for the benefit of the general public, the historically and architecturally significant buildings, monuments, botanical gardens and landscapes of Lake View Cemetery. Click HERE for the Lake View Cemetery website. The vision of Literary Cleveland is to create a strong community of writers and readers in Northeast Ohio through classes, workshops, readings and other events. 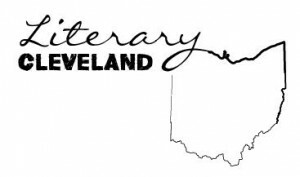 Click HERE for the Literary Cleveland website. Click HERE for the Maltz Museum of Jewish Heritage website. The Medicine, Society and Culture program offers an M.A. degree in Bioethics and Medical Humanities at Case Western Reserve University. Students explore key themes in health humanities and social medicine as they relate to some of the most challenging ethical issues of the day. Click HERE (case.edu/medicine/msc) to learn more about Medicine, Society and Culture and the Department of Bioethics. Click HERE to learn more about the Medicine, Society and Culture program. Montessori High School at University Circle is an International Baccalaureate World School devoted to student-centered learning and liberal arts education. Located purposefully in the University Circle neighborhood, MHS gives students access to the breadth and depth of research in this incredible square mile, and provides opportunities for students to learn from experts in the field and apply what they’ve learned. For nearly a decade, MHS has been providing these opportunities and has been working to fill the gap created by standardized education by focusing on each student as an individual and by providing the optimal environment for adolescents to become confident, empathetic, and principled adults who think critically and take informed risks to shape a sustainable and peaceful world. The Montessori Method has been used internationally for more than 100 years, and more than twenty-two thousand Montessori schools are in operation across the United States and around the world today. Click HERE to learn more about the MHS Experience. Every city needs a great contemporary art museum. Cleveland’s has been pushing the boundaries of culture for nearly fifty years. No venue in Cleveland better demonstrates the rewards of artists taking risks. MOCA seeks out and advances the best living artists, connecting their ideas and works to diverse Cleveland audiences. The institution was the first in the region to show work by once-emerging artists such as Andy Warhol, Jasper Johns, Laurie Anderson, Roy Lichtenstein, and Christo. With recent exhibitions by such renowned artists such as Michelle Grabner, Katharina Grosse and Do Ho Suh, and even international master chef Ferran Adria, MOCA continues to take creative risks while bringing the work of emerging and established artists and innovators to Cleveland. MOCA’s standout, gem-like building, which opened in 2012, is a work of art in itself. Designed by Farshid Moussavi of London, England, it has become an instant emblem of Cleveland’s revitalization and growth and often appears as a symbol of the city’s renaissance everywhere from The New York Times to Fodor’s to Architectural Digest. Unsaddled by a permanent collection, MOCA is free to reinvent itself three times a year. Go there and have a mind-expanding encounter with the new. MOCA has an unsurpassed knack for identifying the ideas the world will be talking about tomorrow, today. Click HERE for the MOCA Cleveland website. Click HERE for the Saint Luke’s Foundation website. The Schubert Center for Child Studies bridges research, practice, policy, and education for the well-being of children and adolescents. Focuses on children from infancy through adolescence in local, national, international and global settings. Advances understanding of children’s engagement in everyday life, including families, peers, neighborhoods and communities and within historical and cultural contexts. Employs a multidisciplinary approach and is committed to community collaborations among researchers, policymakers, and practitioners. Fosters academic excellence and leadership in childhood studies and child policy. Promotes linkages and effective policy through research, communication, and education strategies among those who play a role in the well-being of children. Click HERE for the Schubert Center for Child Studies website. UCI is the development, service, and advocacy organization responsible for the growth of University Circle as a premier urban district and world-class center of innovation in health care, education, and arts & culture. University Circle Inc. (UCI) is the community service corporation creating a premier destination for everyone to experience. Click HERE for the University Circle Inc. website. The mission of the West Creek Conservancy is to enrich the lives of people in Greater Cleveland by conserving natural habitats, restoring the ecological value and sustainability of urban lands, and expanding neighborhood opportunities to experience nature. Click HERE for the West Creek Conservancy website. The mission of the Wick Poetry Center is to encourage new voices and promote educational and artistic opportunities for emerging and established poets and poetry audiences regionally, nationally, and internationally. Established in 1984 by Robert and Walter Wick in memory of their sons Stan and Tom, WPC awards poetry scholarships to KSU students, hosts an annual free and open reading series, sponsors the Stan and Tom Wick Poetry Prize for a full-length book of poems and an Ohio chapbook prize (both published by KSU Press), offers fellowships for graduate students, internships for undergraduate students, and delivers extensive writing workshops to area schools, hospitals, detention centers, and other community organizations. The Wick Poetry Center’s interactive Traveling Stanzas project encourages people of all ages from around the world to share their voice and engage in a global conversation through the intimate and inclusive voice of poetry. Click HERE for the Wick Poetry Center website. Click HERE for the Traveling Stanzas website.